Butter in your cocktail? You better believe it. They say there are three secrets to French cuisine. Number one? Butter, of course. Numbers two and three? Butter and, well … also butter. Low-fat devotees will shudder at the thought of these yellow bricks being used for everything from garnish to base cooking oil, but even those who think nothing of slathering a grilled rib-eye or dressing a salad with it might be taken aback with the notion of drinking it. Butter cocktails, however, are challenging this final frontier; it has finally been called to the bar. Some of this new-found interest in drinking butter stems from the paleo fad of blending butter into the morning’s coffee (yes, really) and fat-washing in cocktails. This latter is a simple process for infusing butter, bacon and other fats into booze (mix together; refrigerate overnight; strain), so that, even after the fat is strained off, the flavour of, say, brown butter or duck fat remains in the spirit. 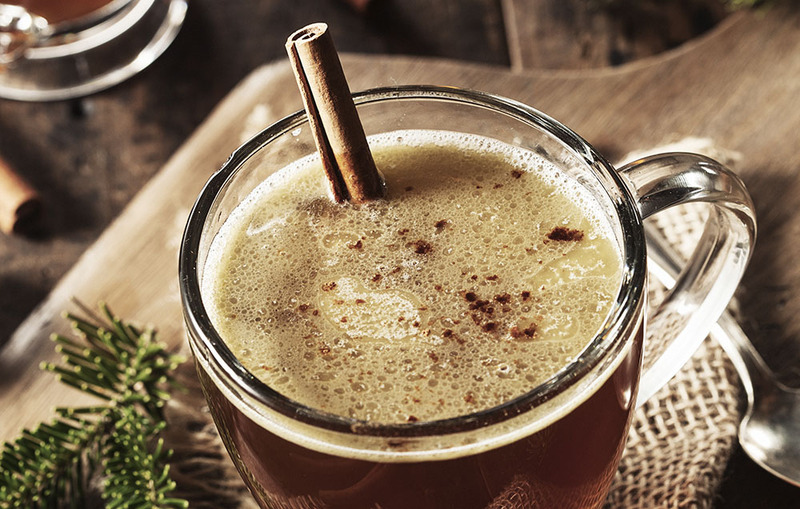 But buttery drinks’ deepest roots go all the way back to the colonial era, when they weren’t afraid of an extra layer of fat and hot buttered rum was a winter staple. More intense flavours? Sign me up. But the problem I’ve encountered in the past is that hot buttered rum can easily separate and wind up with an oil slick up top, a challenge even for the most diehard of fat-enthusiast paleos. Some fix this with a “batter” of blended butter, sugar, spice and softened vanilla ice cream that can be stored in the freezer. Simply spoon it into a cup of rum and hot water whenever you start to feel your arteries getting a little too clean. Gray has a different solution that he uses for the hot buttered rum served in the 1927 Lounge at the hotel — namely, a compound butter that he whips into the hot rum à la minute. Now that’s rich. And here’s how to get all buttered up at home. Mix a tablespoon of compound butter with boiling water and rum in a preheated ceramic mug. Bar whip, swizzle or stir until fully incorporated. Garnish with a cinnamon stick. Add all ingredients to a blender or mixing bowl, blend until smooth, then transfer into a mason jar. Chill in the refrigerator until hard. As it sets, the compound will become more complex. For best results, let thaw to room temperature before mixing into final drink. Christine Sismondo is a National Magazine Award-Winning drinks columnist and the author of Mondo Cocktail: A Shaken and Stirred History as well as America Walks into a Bar: A Spirited History of Taverns and Saloons, Speakeasies and Grog Shops.